Price has been consolidating on the Russell since Nov 29th. We're seeing mixed signals across our breadth indicators with a few in buy signals while others sitting in sell signals. Follow through on breakouts has been low. A defensive stance is the best option until we get a move in either direction. 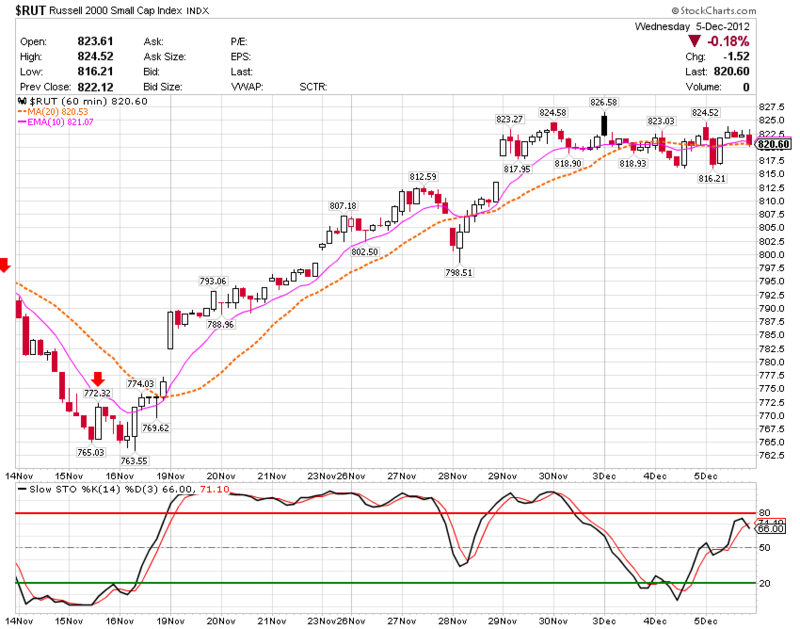 Watching 827 and 815 on the $Rut. No Response to "12/6/2012 - Mixed Signals"